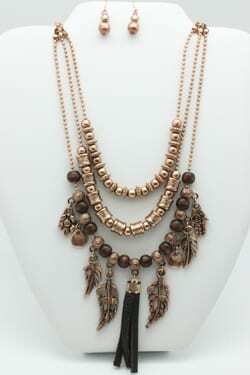 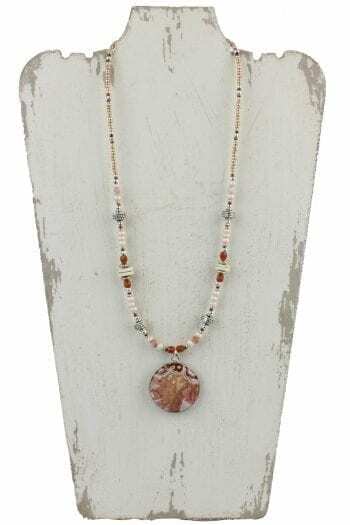 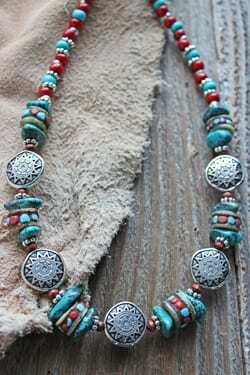 This multi layer charm necklace features Bali, rondelles, and wooden beads. 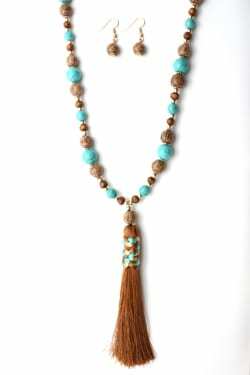 ?One strand embellished with multiple charms, such as leaves, a leather tassel, a key, and a flower. 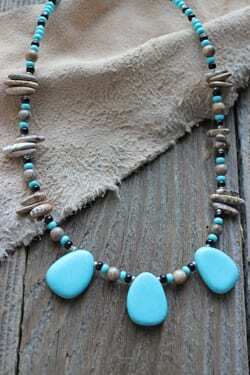 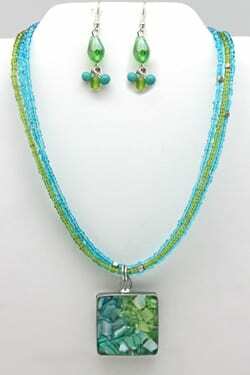 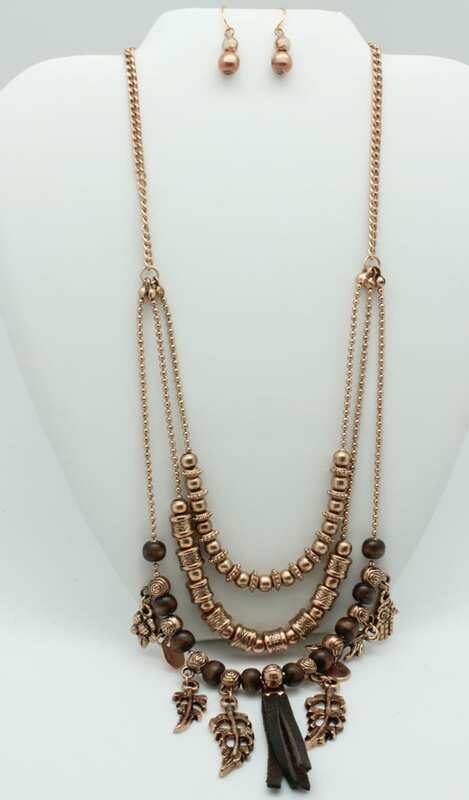 ?This playful necklace also comes with earring and measures 20-24″ in length.